The Boise Institute for Buddhist Studies, (BIBS), aspires to help people learn, understand and practice in a way that enriches their lives and the lives of those around them. The Institute will meet the needs of the Buddhist community and help people along the path to complete enlightenment. Aside from offering classes, the Institute offers its practice space to the Buddhist community at large. Other Buddhist groups are welcome to inquire about using the space when BIBS classes are not in session. Open to all, the Institute is a center focused on providing beginners and experienced practitioners with non-sectarian instruction and support. We offer the Buddha’s teachings in various lineages in the spirit of non-sectarian harmony. The purpose of the Institute rests firmly in the Buddhist path, that of enlightened activity for the benefit of all beings. When a teacher presents the Dharma, it will reflect the teacher’s authentic lineage. Programming is at the heart of the center. The institute presents classes on the Buddhist view and meditation, with beginner classes having a lower number and courses for more experienced students with a higher number. Teaching events provide the lifeblood of the spiritual community, allowing a chance for fellowship, shared experiences and support to catalyze the teachings into practice. The institute utilizes local teachers to present material they are uniquely qualified to teach based on their exposure and practice with those teachings. Although Buddhism is one of the great world religions, it differs from others in several ways. Teachers don’t ask listeners to accept things on faith. Rather, students are encouraged to question what is presented and ask whether or not it accords with their own experience. No dogma. Buddhism is typically only shared when requested. There is no tradition of proselytizing. There is no pressure to accept the entire system and become a Buddhist. It is no problem to simply accept aspects that are effective for you. No registration necessary. Simply show up to the first scheduled class and take a seat on the floor or on a chair. For most classes it is perfectly acceptable to attend even if you missed the first couple of classes. The Buddhist teachings are offered freely and there is no fee for attendance. Those who attend may express their appreciation for the teachings with “dana” which means generosity. Is BIBS a 501(c)(3) organization? 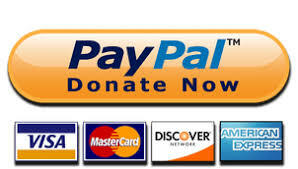 I would like to donate and report the donations as contributions to a charitable organization. The Institute is not yet a 501(c)3 Tax-exempt nonprofit. We need to pass by-laws before we can apply. However, we expect the by-laws to be completed by early summer and file our 501(c)3 application by early fall. It might be approved before the year’s end, but the application process might not be complete by then. We’ll keep you posted. We are now a 501c3 Tax-exempt organization! Is this a secular group? BIBS is a Buddhist organization. But you don’t have to be a Buddhist to participate fully! As in all Buddhist services, no one is asking you to believe in anything. The classes are offered freely with no expectation you will convert. For those who want to get a bit in-depth before they commit to a path seems only sensible. Also, among Buddhist schools and lineages, BIBS is non-sectarian. Any Buddhist group is welcome to use the space.